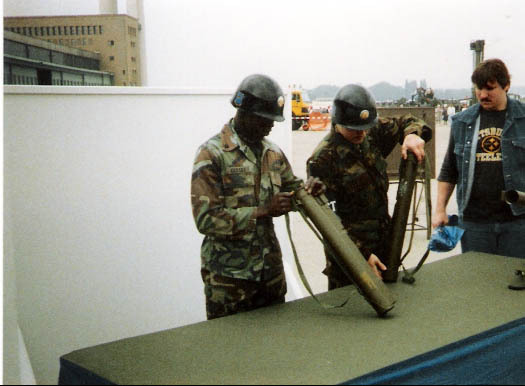 The M-72 is a shoulder-fired 66mm anti-tank rocket which can penetrate up to 1ft. of armor. After firing the pre-packaged rocket the launcher is thrown away. 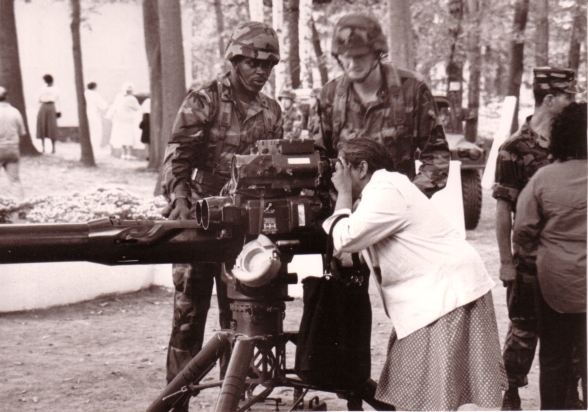 M-72 presented to Berliners during Open Hose Day at Tempelhof. The TOW was either operated on a Humvee or in a dismounted ground mode. The gunner keeps the sight on the target and corrects the missile through the two thin wires attached to the missile. It also features a thermal sight for operations at night and reduced visibility. TOW System on display presented by Berlin Brigade soldiers.